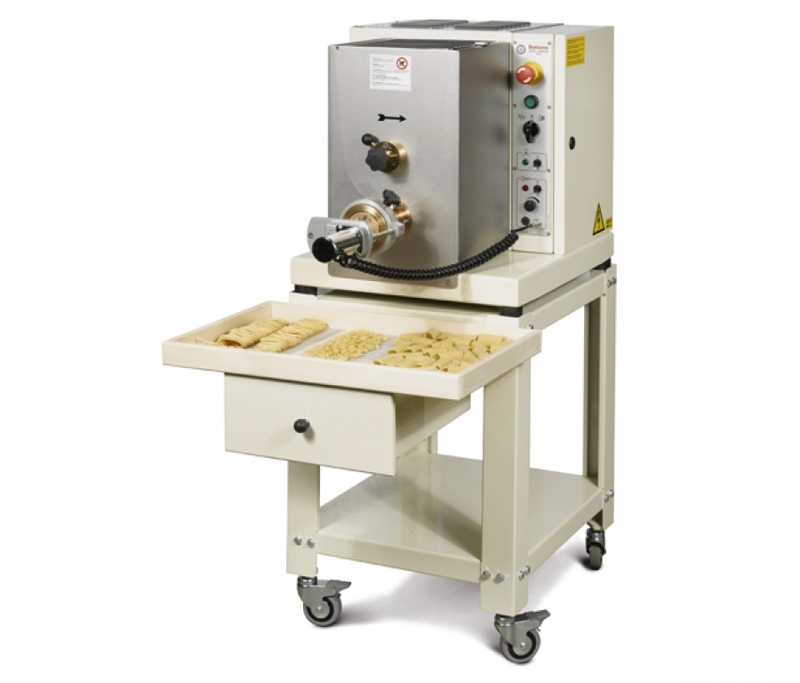 PM 120 is the ideal machine for workshops and canteens. 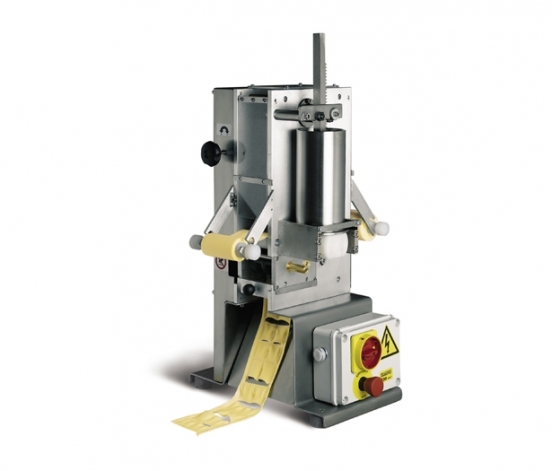 Hard wearing and easy to use, it is indispensable for anyone wanting to make a range of pasta shapes with any ingredient they like: durum wheat semolina, soft wheat, whole wheat, with or without eggs, with vegetable colourants. 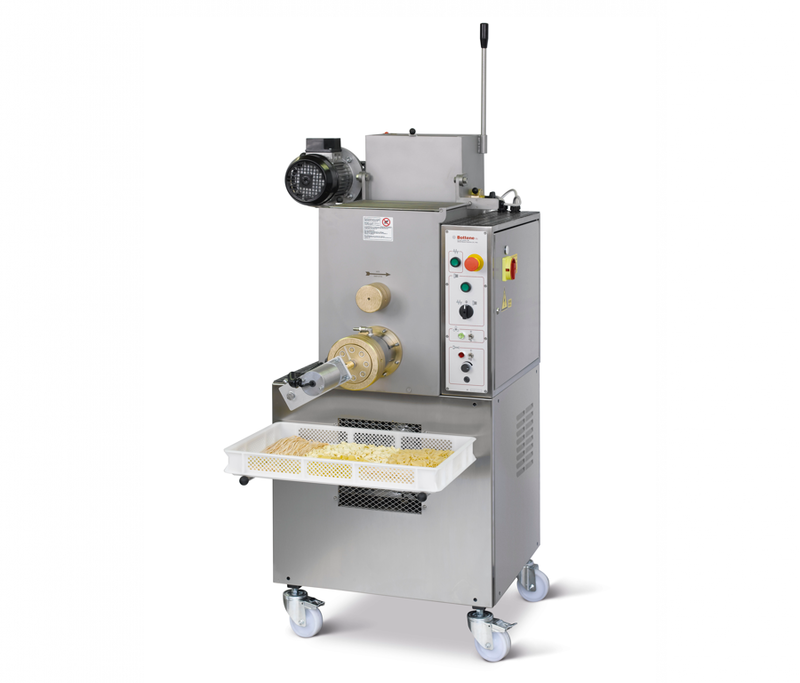 With a double tank, our PM 120 allows for continuous cycle pasta making and thus large quantities. 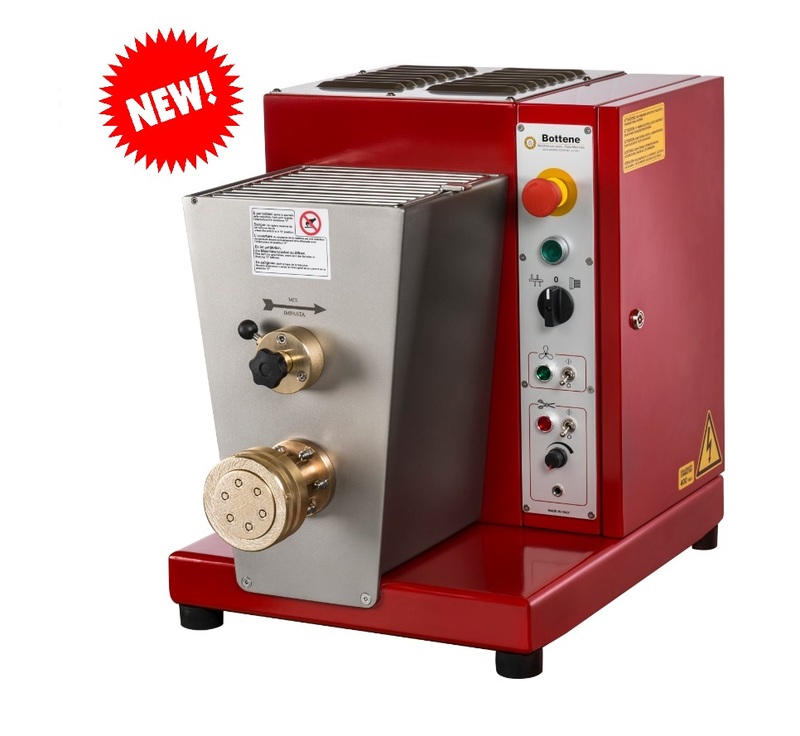 It has a water cooling system in its extrusion pipe which enables a constant temperature to be maintained thus improving pasta quality. Double tank for a continuous production cycle. Its extrusion tank has a 14 kg capacity. The dough tank has an 8 kg capacity. 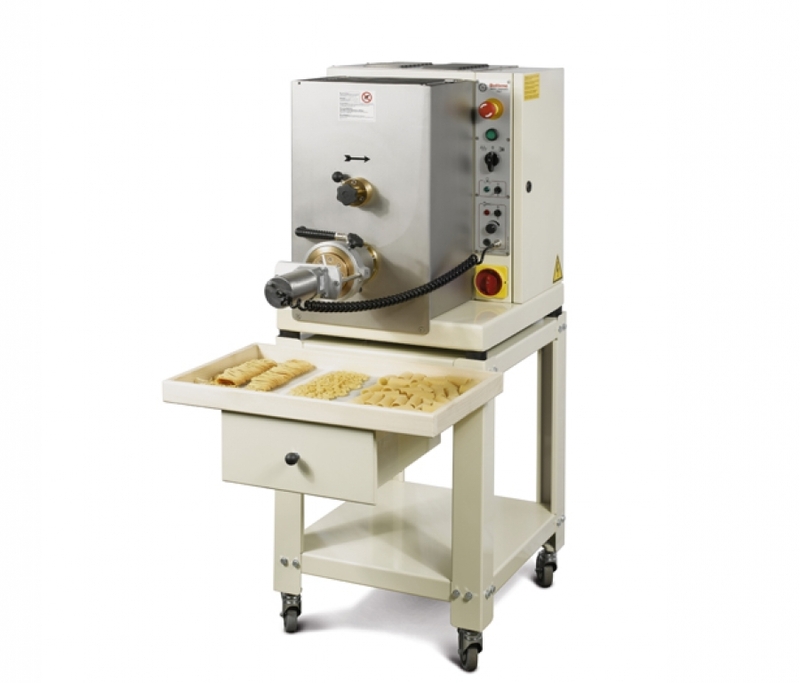 Its hourly extrusion capacity is 50 kg of pasta depending on pasta type. It is built entirely in stainless steel. 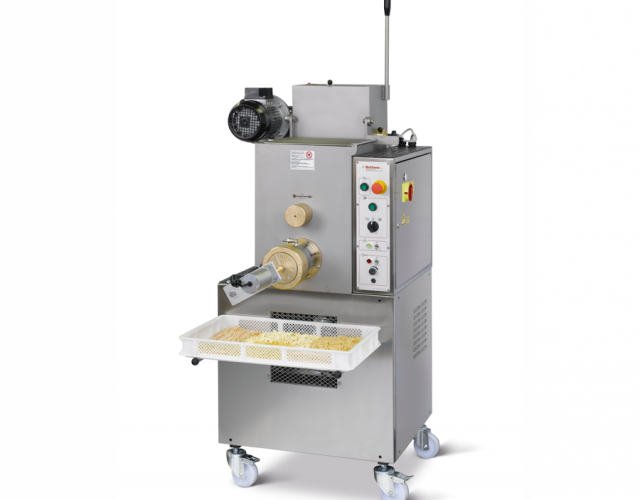 Complete with 1 plate, fan, pasta holding basket, automatic short pasta cutter, keys, liquid dosers, cleaning accessories. Other format plates available on request.